According to the American College of Prosthodontists, there are more than 35 million Americans who do not have any teeth. The most obvious consequence is seen every time you look in the mirror—you simply do not have a smile, which can be quite embarrassing. In addition, there are other problems such as malnutrition and difficulties with clear speaking. 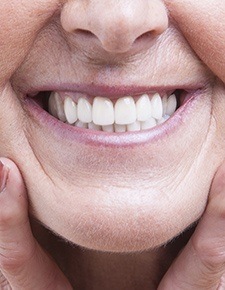 Therefore, this degree of tooth loss can have a significant impact on quality of life. If you count yourself among those who are edentulous—missing all of the teeth along either or both arches—then consider All-on-4 in Friendswood. This is a dental implant and denture combination that permanently replaces missing teeth. Our dentists can use this system to give you a beautiful and functional smile. All-on-4 are certainly similar to traditional dental implants, but there are important differences. Rather than positioning implants all along the jaw, All-on-4 relies on only four strategically positioned implants to hold a full denture in place. The implants are placed more toward the front of your jaw where the bone is denser, and they are set at an angle to take better advantage of this density. In addition, All-on-4 dental implants are slightly smaller than their traditional counterparts. For this reason, bone graft surgery is almost never necessary; this procedure can be a prerequisite with traditional dental implants that need a certain amount of bone volume and density in order to be successful. All-on-4 dental implants are usually placed during one appointment with the dentist in Friendswood. Immediately after this surgery, a temporary set of dentures is placed over the implants. These dentures are specially designed to protect your gums during the healing process, which usually takes between six and eight months. During this time, the implants integrate with the surrounding bone tissue to create a solid foundation for your custom designed and permanent implant-retained denture. 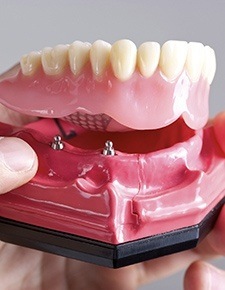 The underside of the denture is outfitted with metal fittings that attach to the implants. You’ll never have to worry about dentures that slip, click or fall out because your All-on-4 dentures are secure. 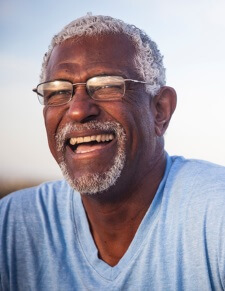 Aside from having a new and beautiful smile, All-on-4 dental implants help you avoid the bone deterioration that often happens with tooth loss or even with dentures and other tooth replacement solutions that only rest on top of your gums. The implants mimic natural tooth roots, stimulating your jaw to produce healthy new bone cells. Also, you’ll take care of your All-on-4 smile just as you would natural teeth—brush and floss twice a day and schedule regular dental checkups with the dentists at Friendswood Dental Group. Contact the “dentist near me” to learn more about All-on-4.